Ray Haines wins a Stonewall Attack which transposes to a Bird's Opening. 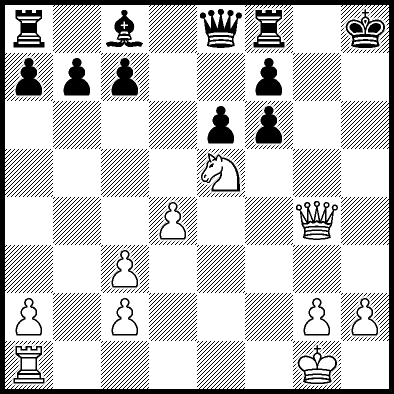 White hid in his castle behind a stonewall with 6.f4 until his forces were ready. He could have lowered the drawbridge faster and attacked with 6.e4. 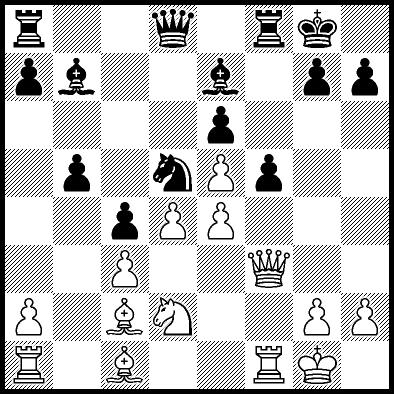 By the time he played 15.e4, his stonewall had cracks in it that Black failed to find. 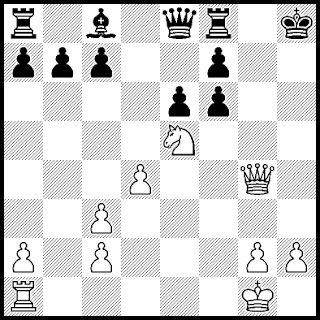 Then White attacked and had two ways to mate. 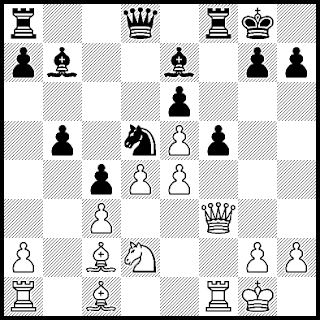 My Blackmar-Diemer Theory 3 book has Blackmar-Diemer Gambit opening analysis that covers a line I played in a recent game. I only had to play five easy moves beyond the book. The same analysis is in my larger Blackmar-Diemer Series (4 books in 1). It takes you to the diagram below plus one move. I'm planning more BDGs on this blog.